Since the birth of social media, almost every business, public figure, and of course, creative, like us, are discovering new, interesting ways to engage with their following to portray value. In our industry, engagement and creativity in garnering it is very essential because of the abundance of noise and content that exists in the social media world. By constantly looking for new ways to engage with their fans and projecting value to clientele, there are always innovative ways to fill the gap. With that being said, there’s a new kid on the block and its name is Snapchat. Yes, I know; I hear you. You could find yourself asking: “Snapchat? Isn’t that the app all the teenagers are using these days?” To answer briefly, yes, but it's now more than just teenagers. Influential people like John Mayer, Jimmy Fallon, Arnold Schwarzenegger and popular brands such as Nike, Amazon, and H&M have taken over the Snapchat stratosphere. Even The White House is in on it! 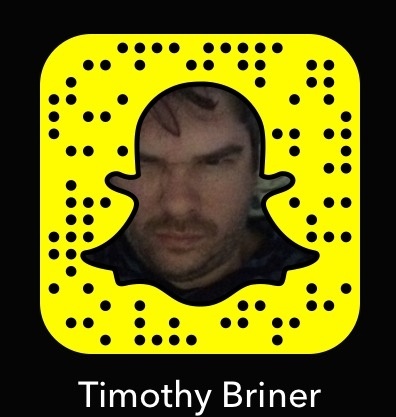 I will explain why Snapchat is a force to be reckoned with in the social media age we live in today. There are many reasons why Snapchat can be useful for you. It allows you to engage with your audience at a personal level; with that, you organically build a relationship with your following, 10 seconds at a time. You are able to send videos and photos directly to other users or to your "story" that all your fans can view. Snapchat does not display the amount of followers; therefore, it’s not exactly how many followers you have that matters, but rather, how effectively you communicate with them! Snapchat opens up the possibility of real, unfiltered interaction with people of all genres – famous, ordinary and purely entertaining. While Instagram and Facebook might update once a day, true Snapchat users update over 20 times a day, giving you real insights into who they are and what their day looks like. Twitter is where you may share your thoughts. Instagram is where you share your photos that are considered "worthy." Facebook is where you share life events. Snapchat fills the gap with daily, spontaneous communication between users that doesn’t quite fit with other social media platforms. It’s unfiltered, unedited, real, and shared in realtime. It makes up with the content where it lacks in actual photo/video quality. It allows you to illustrate a story through everyday life, giving you an authentic behind the scenes look at a user's daily life. According to a Forbes report, 43% of millenials favor authenticity over general content. With Snapchat, you can create a narrative of your personal brand, your story, your struggles, and your successes! A perfect example of this would be Photographer and Storyteller Branden Harvey, who has worked with brands like Yoplait, UNICEF, Paramount, ABC Family, etc. Harvey has developed a brand by simply sharing moments in his life and photography ventures. Yes, the content does disappear, but content creators may save their snaps to reuse or remix into other content on the web as you can see. Real engagement! Easy to track and analyze! What makes Snapchat so great is that there are no paid posts, no algorithms, no scheduled posts, or waiting for the right time of the day to post content. As I stated earlier, it’s in realtime and shows the authentic side of you and your brand. In turn, it allows your following to view your content at their convenience! 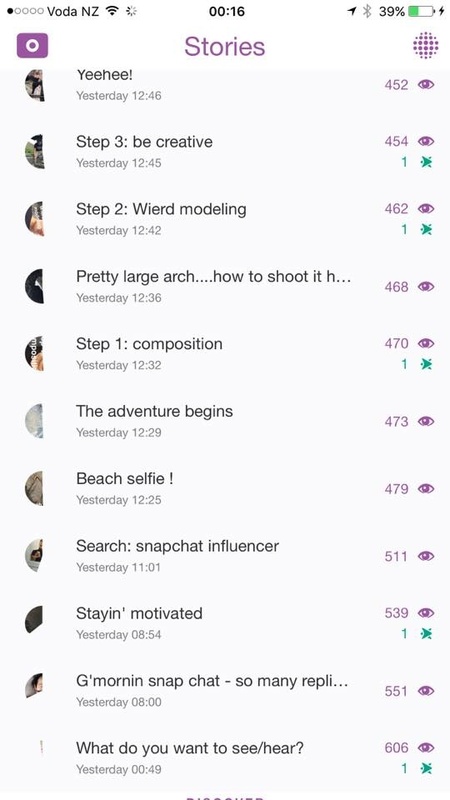 How could Snapchat be beneficial to you and/or your business? Let’s backtrack to 15 months ago. Snapchat ran their first paid ad for the Universal Pictures horror movie, Ouija. Since then, what has followed is a tsunami of big brands clamoring for ads that cost as much as $750,000. 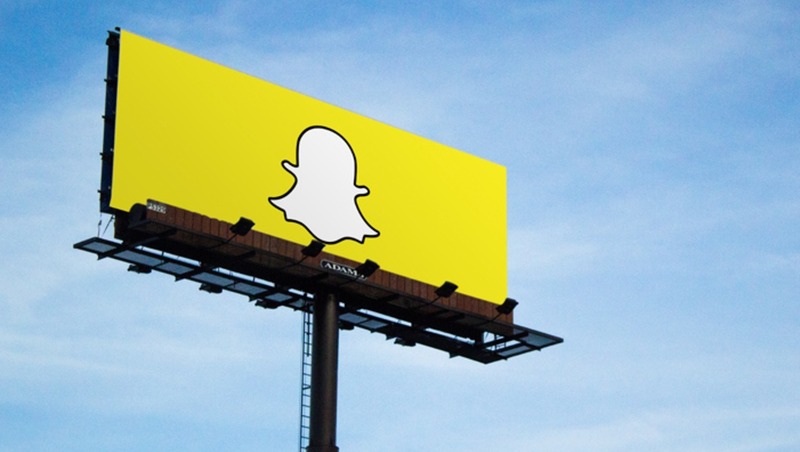 To put it short, if big brands have Snapchat in their strategies, why shouldn’t you? Marketing at your fingertips: give an exclusive sneak peek for a new photo series; maybe show the process that goes behind your works. Place special URLs back to your site so it’s easy to track your activity. Give out promo codes for products. Start a contest. Have your following help pick photos. The possibilities are ENDLESS! ​For the Super Bowl, Audi partnered with The Onion and Huge to partake in the most successful Snapchat marketing campaign thus far in 2014. The campaign drove the most interaction among all automakers. By the end of the Super Bowl campaign, the campaign generated 37 million impressions. "Alright, I Downloaded the App. Now, How Do I Work This Thing!?" Snapchat is a social media application where users can share interactive photos, videos, and chat with their friends and audience instantly. 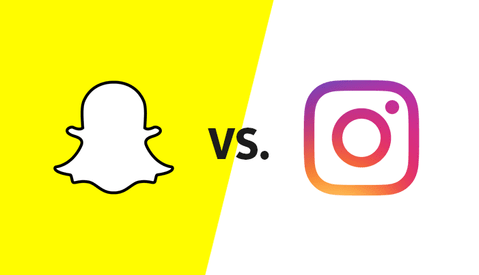 What differentiates Snapchat from any other app is that photos or videos being shared can only last a maximum of 10 seconds, and then, they disappear! There are two methods of interaction: you can directly send photos and videos to individuals, or you can share photos and videos on your "story." A user’s story is a narrative of snaps strung together that lasts approximately 24 hours. Stories can be viewed by all of the user’s friends and fans at their convenience; it enables the true nuances of storytelling of everything from your daily life to your exciting adventures. "Who Uses This App? Just Teenagers, Right?" Wrong. Since its initial release by three students from Stanford in 2011, there are now over 100 million users today, and that number continues to skyrocket with its growing popularity. Back to the question, though: isn’t this app only for teenagers chatting with one another? The answer is not entirely. As of now, 6 in 10 people ages 12 to 35 in America use Snapchat. Similar to Facebook and Instagram, Snapchat is starting to see a substantial growth in users that aren’t millennials. Since last year, Snapchat has had an increase of 103% for users 25-to-34 year-olds, and an 84% increase for users 35 and older. 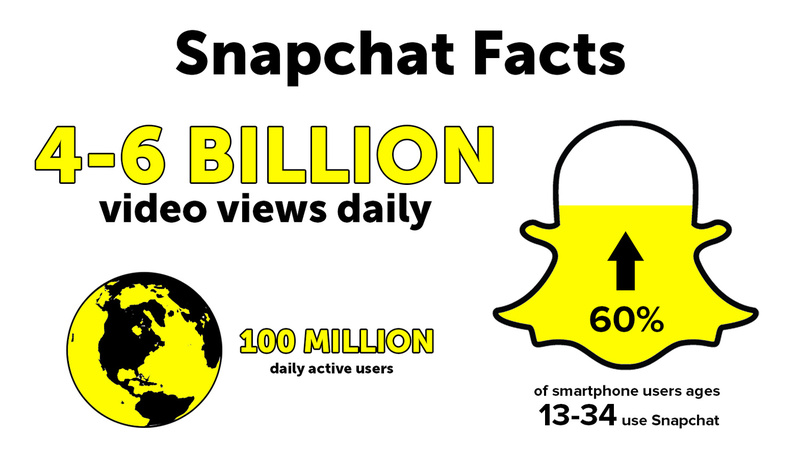 Snapchat's data claims those numbers to be about 50 million users in the U.S. that are 35-54 years old. Mysterious billboards have risen across the U.S., which lead us to believe this is a marketing tactic to the older demographic. This makes sense since the older demographic has more disposable income, which falls in line with the advertisers, which in turn means that Snapchat is positioning itself to be like the likes of Facebook, Instagram, Whatsapp, etc. Yes, everyone has been hesitant; it’s human nature, but I’ll assure you, if you don’t download the app now, you likely will down the road. Snapchat is here, and it’s here to stay. It fills a gap that allows you to create a meaningful bond between you, your friends, your brand, and your audience. It’s easy to use and used at your convenience. There’s no social media following scoreboard to worry about, but rather how you communicate with your friends and fans. It creates a narrative for storytelling and can be used as an effective marketing tool. There is so much good content out there in the world, so much content that it has become noise; because of that, engagement and building a relationship with your fans are more important than ever before. You may have caught on to Instagram later on and find yourself playing catchup, maybe Facebook as well, but if you're looking to build an audience and a brand, I'd advise you to give Snapchat a try before you're late to the party! 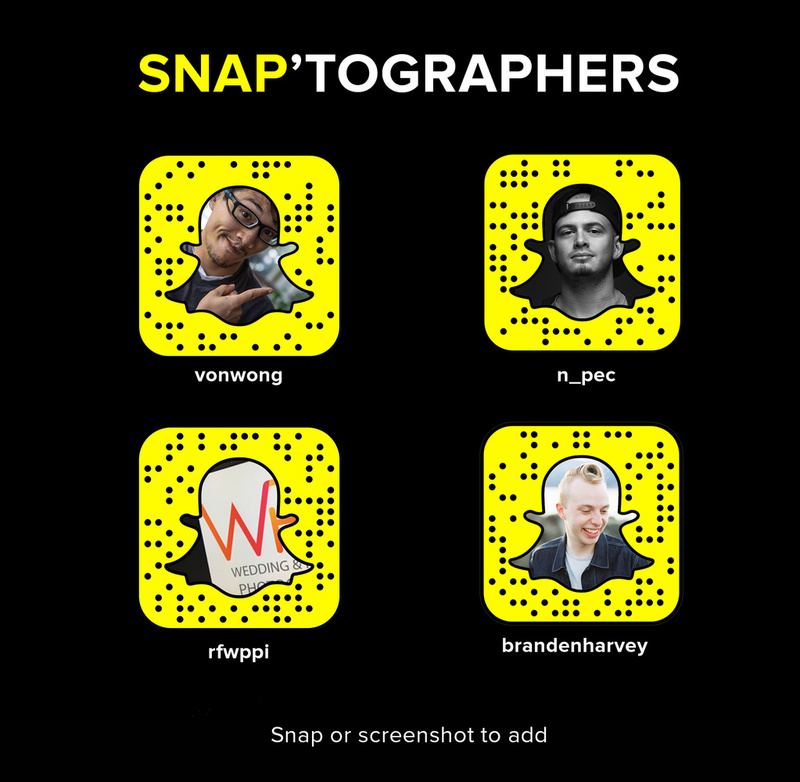 If you're looking into find some photographers to see what Snapchat is all about, give the contributors to this article a follow and check it out (remember to snap a photo of the Snapcode once the app is opened)! So, I will ask you: have you downloaded the app? 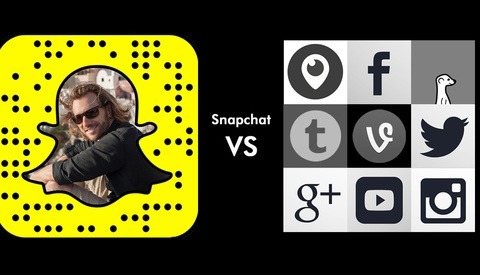 Have you been hesitant about downloading Snapchat? Are you going to give it a go? Feel free to share your thoughts below in the comments! In our next installment of Snapchat and social media, we will feature some very influential photographers in the industry and talk about how they strategically build a brand using social media like Snapchat. Stay tuned! 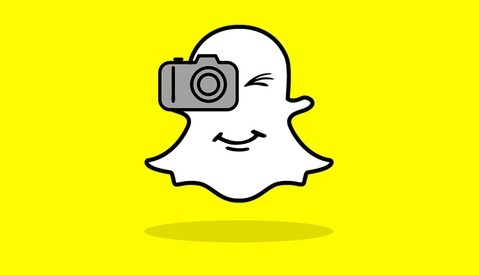 We will also be creating a list of the best photographers to follow on Snapchat. So, leave us your Snapchat name below and we'll decide who's interesting, engaging, and fun! C'mon guys, everyone knows MySpace is making a comeback in a BIG way! These fluffy, no brainer articles are fine. But It’s incredibly odd that Fstoppers, a photography/photographer based community has yet to post an article covering what is going on with B&H right now. My snapchat is highly effective with the seniors and models I photograph. Any small business can be using it. Add me @johndpyle. BUT first go add Dr Miama (@therealdrmiami). Watch how it's done.